V for Vendetta is a 2005 cult action-thriller film directed by James McTeigue and produced by Joel Silver and the Wachowski brothers, who also wrote the screenplay. 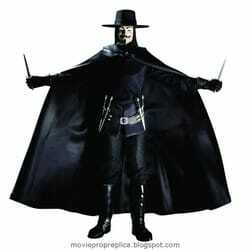 The film is an adaptation of the graphic novel V for Vendetta by Alan Moore and David Lloyd. Set in London, United Kingdom in a near-future dystopian society, the film follows the mysterious V, a freedom fighter seeking to effect sociopolitical change while simultaneously pursuing his own violent personal vendetta. V for Vendetta Movie Prop Peplicas, Figures, Toys and Collectibles! Victim and villain, V voices the frustration and innate power of the people, the true values held precious by the masses. 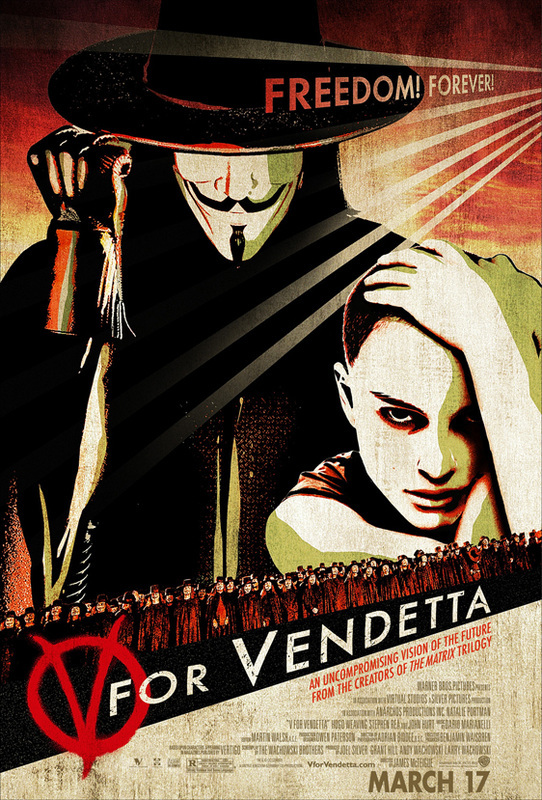 A provocative and disturbing modern classic, V for Vendetta is the visually powerful story of a dystopian not-too-distant future. Dressed in the intricate and authentically detailed costume from the film adaptation of the classic comic, V displays his signature black cloak, as well as a removable hat, a non-removable mask, interchangeable hands and several character-specific accessories. The 1:6 scale, 12-inch tall figure comes with a display base and is packaged in a deluxe 4-color window box with a fifth panel. 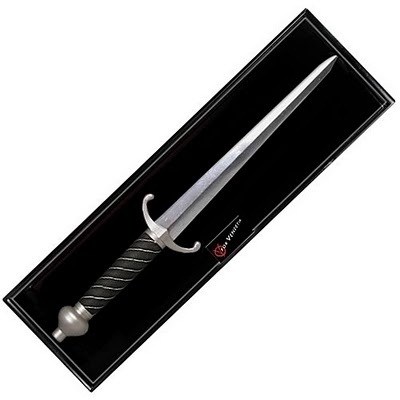 This full-size dagger prop replica from the movie V for Vendetta measures 15 1/2-inches long and comes in a beautiful shadowbox. Limited edition of 1,500 pieces.